Fresno, CA. 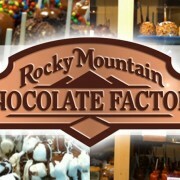 – Rocky Mountain Chocolate Factory, Shops at River Park, is hosting a grand opening event on Friday, February 8th, at 130 E Paseo del Centro between Yoshino’s and the Imax Theater. Please join them in-store for free samples, as well as 20% off all day. Cooking demonstrations between 11 am and 2 pm. Rocky Mountain Chocolate Factory is a gourmet chocolate store specializing in handmade chocolates, caramel apples, dipped strawberries, and specialty gifting. LaTricia and Jorge have owned and operated the Fashion Fair location since 2013 and are thrilled to open their second location in The Shops at River Park. Come experience the Peak of Perfection of Handmade Chocolates and support your local community. Questions may be directed to LaTricia Adkins, 816.308.3167.